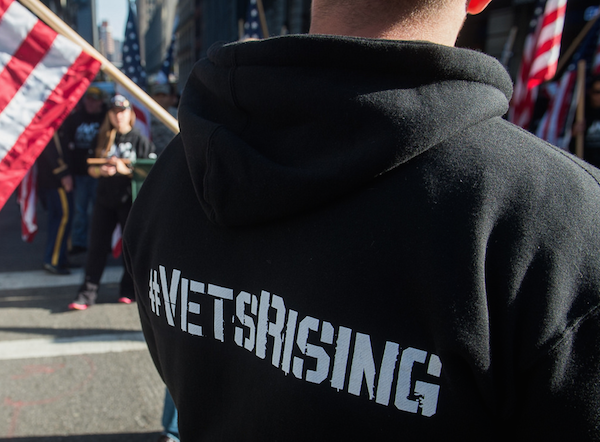 IAVA has a social media tagline #VetsRising that you may have seen on Facebook, Twitter and whatever else the kids are using these days. To be honest, it seemed odd to me when I first saw it. I wondered from what depths we were supposedly rising and to what heights did we intend to go. I have been a veteran for more than 11 years now, and I have worked with student veterans for close to seven. The past 18 months, however, have truly been transformative. In my work at Northeastern University, I have had the privilege of traveling about the country and meeting veterans from other cities. Through these other veterans, through their challenges and countless accomplishments, I have come to learn just how appropriate #VetsRising really is. About once a week I receive a phone call from my friend Josh out in Washington State. These have become my favorite calls of the week. 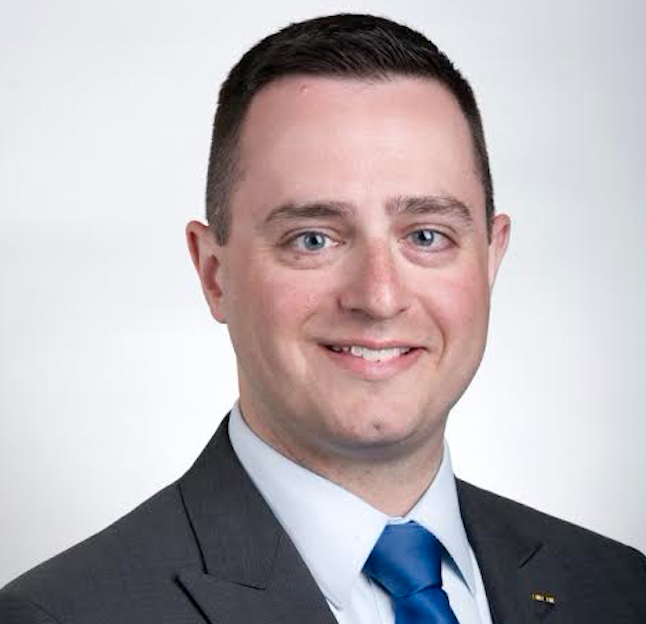 Josh is an Army veteran who served in Iraq, and now he’s a fellow IAVA team leader. We both attended an IAVA regional leaders summit back in August and left feeling hyped up and enthusiastic about creating a sense of community among veterans in our area. He calls to share his success stories, to tell me about the veterans he meets and how happy they are to have found others who served. He does all of this in addition to his responsibilities as a father and full-time employee working with the homeless. Josh’s next venture is to start a program helping veterans in prison. He is an inspiration. He is also a man of great conviction. So distraught is he over their rate of suicide that Josh had “22” tattooed on his finger to remind him of the 22 veterans who take their own lives each and every day. Thanks to the leadership of Rebecca, a Field Associate at IAVA, and the work of other fantastic organizations that are truly serving this population, I continue to meet great veterans and civilian supporters. Here in Boston, the Home Base Program treats veterans and servicemembers dealing with post-traumatic stress disorder, traumatic brain injuries, deployment stress, and military sexual trauma. They do this in spite of a veteran’s discharge status or their ability to pay. Their outreach staff is comprised solely of veterans who have served in Iraq and/or Afghanistan. This fall, Northeastern partnered with Home Base in order to host their New England Warrior Health and Fitness Program on campus. This free program is open to any Post-9/11 veteran and includes components such as strength and conditioning training, proper diet and sleep hygiene education and mental skills training. Civilians would pay thousands of dollars a month for this type of experience, but it is free to us simply because we served. The goal of programs like Warrior Health and Fitness and groups like Team RWB is to foster a sense of community in a healthy, positive environment. Organizations like Team Rubicon and The Mission Continues have similar goals, but they take things a step farther by empowering veterans to make a positive impact in their communities through their response to natural disasters and coordination of volunteer activities, respectively. Veterans aren’t simply returning to civilian life to shirk their civic responsibilities. They continue to serve other veterans and their fellow citizens. At our core is a shared belief in this wild and beautiful experiment called America. The former military members I meet are shaping the veteran experience in their communities. They’ve taken up causes like veteran suicide, homelessness, unemployment, mental and physical health, educational improvements and empowerment. Veterans like my friends Victor in Seattle, Rob here on the main campus and civilians like Josie in Boston or Noel in Charlotte are helping us with outreach because they believe in the power of a Northeastern education and the impact it has on employability. Until recently, I must have thought of myself as a lone gun working to help the veterans with whom I come in contact. The fact is, though, that I’m one of many, many veterans across the nation who are banding together to elevate their brothers and sisters. We do what we can to welcome them home, to prepare a place for them at the table, to invite them in from the margins and prove to them that they’re never alone. I’m intensely relieved and reassured when I see the number of these veterans and veteran supporters doing this important work. In my opinion, this is the essence of #VetsRising. We emerge from the military undoubtedly changed by the things we experienced, some left to struggle more than others. As we succeed in our transition, we rise. It fills my heart to see so many veterans turning, extending their hands toward a brother or sister and lifting them up. My life has been forever changed by my decision to serve some 15 years ago. Northeastern University has continued to place their faith in me, to offer me the privilege of serving the veterans who call our campus home. Yesterday, they doubled down on that faith by appointing me the inaugural director of our new Center for the Advancement of Veterans and Servicemembers (CAVS). I hope to follow the excellent example of the organizations and individuals around the country who are taking point and clearing the way for others. This Veterans Day 2015, the outlook for those who serve and have served is getting better and better. We rise. We rise together. To join a community event in your area or host one of your very own, please visit iava.org/vettogether.